Nathula Pass is an outstanding place for tourist attraction. In Sikkim, you are not allowed to drive your own cars beyond Gangtok.The road to Nathula is not a smooth drive. While driving in Himalayan region, one should keep in mind that the journey must start as early as possible because weather can change rapidly in a single day. Nathula sikkim is on Gangtok-Nathula Highway. 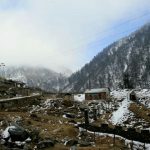 On the way to Nathula, you will come across so many spectacular places.It is usually combined with visits to Tsomgo Lake and Baba Mandir. Tsomgo Lake or Changu Lake is a glacial lake in the East Sikkim. Tsomgo is about a kilometer long lake. 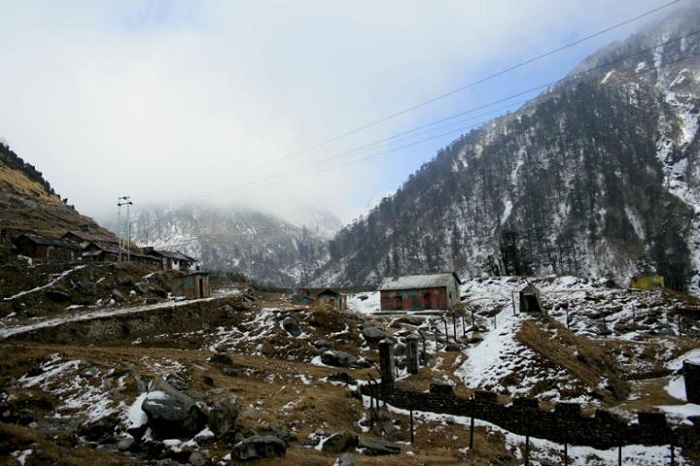 It is 40 kilometers away from Gangtok and it takes only 2 hours from here. Baba Harbhajan Singh Temple is also known as Baba Mandir. 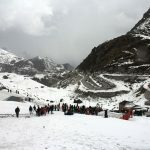 It is located between Nathula and Jelepla pass at an altitude of 13,123 ft and about 52 kms from Gangtok. The history behind the shrine is very interesting . He was an Indian army soldier who died near the Nathula Sikkim. His fellow soldiers built a monument that has became a pilgrimage centre later. It is a must visit place when one is in Sikkim.There is no restriction on the amount of time a tourist can spend at the indo-china border. One must visit this place to salute the Indian army for protecting the international border at such a difficult terrain, climate and oxygen level.